What a beautiful part of the world Southend is. Home to the famous pier, and to some of the most iconic, quintessentially English picture postcard views. What better way to welcome some of the longest daylight hours in the UK, and make the very most of your windows and views, than to have our stunning plantation shutters? We are committed to bringing the finest quality shutters to Southend on Sea. With the widest selection of styles and finishes in the UK. We can perfectly match your home, decor and living style whatever your tastes – browse our range of shutters here. Whether you are looking for bright, modern shutters with clean lines to reflect the natural light into the room, traditional wooden tones or subtle off whites to warm and filter light for the perfect ambience, or even make a bold statement with a beach hut blue, a pillar box red, or gorgeous grey! We have the perfect solution for you, and experts on hand to advise. 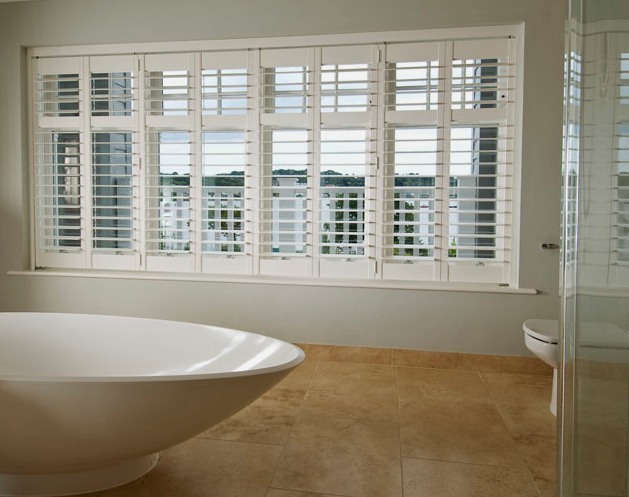 Do you think our shutters would make a great addition to your home? Get inspired by browsing our stunning photo galleries! Along with the best shutters you need the finest service, and we are not just talking about how we answer telephones (while of course this is important) we are talking about the expert training we have, the way we can guide you through options, listen, take our shoes off when fitting your shutters or hoovering up after ourselves. Just Shutters has been the premier plantation shutter company for the past decade, we have grown with our customers and because of our customers. Our feedback and ratings mean the world to us as it is our core business ethic to provide customers with the best our market can offer at a value for money price. Our guarantee is our way of ‘putting our money where our mouth is’, we believe in our products and service, we believe in our design, or fitting and our shutters, therefore we have our own market leading LIFETIME guarantee! If you would like to know more about our beautiful shutters in Southend on Sea, please call us on 01245 200 917. 11 windows including one bay, two bathrooms and one circular window. Shutters fitted to playroom and lounge. Plantation shutters fitted to the whole house. “Very professional advice provided, excellent installation, so very pleased.